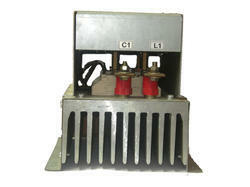 Wholesale Trader of a wide range of products which include thyristors switch and dual source auto transfer switch. We feel proud to introduce ourselves as the foremost and noted firm, engaged in offering Thyristors Switching. These thyristors are used in a number of electronic devices such as transistors, transformers, computers, etc. The offered thyristors are precisely engineered using premium components with the aid of sophisticated technology. We also offer these thyristors in various technical specifications at nominal prices. Looking for Electronics Switch ?